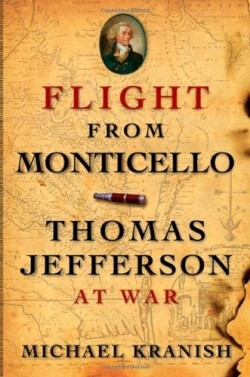 This is edge-of-your-seat history, meticulously researched and laid out, but written with such high drama and cinematic clarity that even well-known events of America’s Revolutionary War are made to seem suspenseful-as if this time their outcomes might be different. This sense of immediacy may arise from the fact that the author’s principal trade is newspaper reporting, not writing history. A veteran political correspondent for the Boston Globe, Kranish previously co-authored a biography of 2004 presidential candidate John Kerry. The Thomas Jefferson that Kranish presents here is not the magisterial political thinker and statesman now commonly portrayed. Instead, he is a harried public servant, invested with great responsibility but little statutory power. In 1779, three years after the Declaration of Independence was signed and while the war with Britain was still very much a toss-up, Jefferson was elected governor of Virginia for the first of two tumultuous one-year terms. By this time, the British had already launched devastating assaults against Virginia’s ports. They would soon compound the damage by moving inland, commandeering the rich plantations, freeing slaves, pushing the state’s capital from Williamsburg to Richmond, then overrunning Richmond and advancing toward Jefferson’s estate outside Charlottesville.